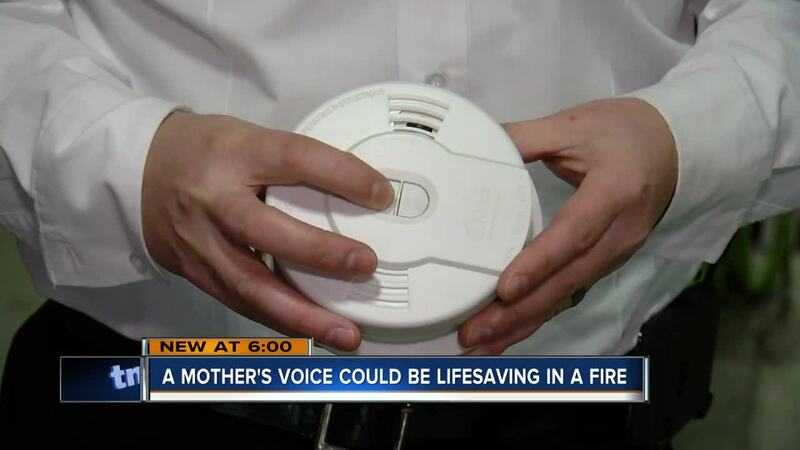 A mother’s voice could be lifesaving in a fire. When children heard the high-pitched sound of a smoke alarm, it took them nearly five minutes to escape from the bedroom, researchers found. But when they heard their mother’s voice, it took them 18 to 28 seconds. The study, published in the Journal of Pediatrics, collected data from 176 kids ages 5-12. It also found a sleeping child was about three times more likely to be awakened by a mother's voice alarm when compared to a high-toned one. “He wouldn’t know what to do,” said Stacy Strehlow, a mother of two. These maternal smoke alarms, in which a parent or loved one can record their voice on the alarm, aren’t on the market, but Strehlow said she would buy one. “My son has autism, and it would throw him into anxiety and panic if he hears the fire alarm. If there was a real emergency that would be a real problem for us,” she said. Lt. Dan Tyk of the North Shore Fire Department said this type of alarm has been talked about for a while. “Studies were kind of out still on whether it worked. It probably was about 50/50, but definitely kids were struggling to wake up to the beep of a normal smoke alarm,” Tyk said. But with more research, he thinks it might lead to change in how these typical alarms are made.